When paranormal investigator Stephen Lancaster brought home an old doll from an antique shop, he had no idea what bizarre and terrifying things were about to occur. From Day One, Norman the doll raised Hell. He caused sudden infestations of rats and spiders. He frightened dogs and put children in trances. He even moved on his own in video surveillance footage. And that was just the beginning. 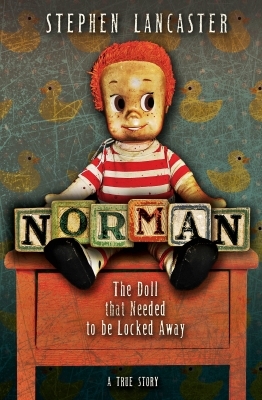 Norman takes you on a thrilling journey into Stephen's life with a doll that has held the spirit of an unborn child for over fifty years. A haunted doll that still lives in Stephen's house, locked away in his own room to keep him from once again endangering the house and Stephen's family.